A doctor who set up a cancer charity has been suspended from prescribing drugs outside the NHS. 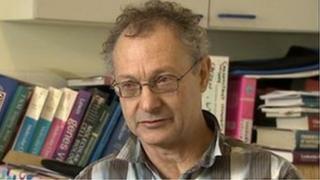 Dr Henry Mannings, based in Wymondham, Norfolk, is being investigated over claims he gave two patients chemotherapy without authorisation. On Tuesday the Medical Practitioners Tribunal Service suspended him from prescribing medication in private practice for 18 months. Dr Mannings, who runs the Star Throwers charity, said he could not comment. He founded the charity three years ago to help cancer patients in their final days of life. He is accused of giving chemotherapy without authorisation to two women, Rachel Lane, 27, and Thelma Dowsett, 78. Both women, from Wymondham, died last month. Their families have praised the treatment they received from Dr Mannings. Miss Lane saw Dr Mannings after her family discharged her from hospital when she was put on drugs given to help those with a terminal illness. They believe Dr Mannings' treatment gave her an extra six weeks of life. Mrs Dowsett's widower Ron said he believed Dr Mannings' treatment gave him and his wife an extra three months together. Dr Mannings formerly worked at the Norfolk and Norwich University Hospital in Norwich and the James Paget Hospital in Gorleston. The GMC began an investigation after a consultant oncologist made a complaint about him. The Medical Practitioners Tribunal Service (MPTS) is part of the GMC but it is operationally separate and it is accountable to Parliament. At a hearing in Manchester, its interim orders panel imposed seven conditions on Dr Mannings, including that he confine his prescribing to posts within the NHS and informs the GMC of any disciplinary proceedings taken against him. The conditions will be reviewed in six months' time.